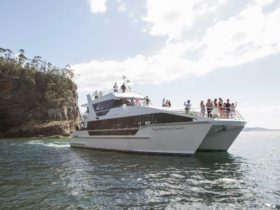 Eco Tours Tasmania is a Hobart based tour business offering small group tours and private Bus Charter in their modern ten seat Mercedes Benz minibus. The bus is fitted with two Child Seat Anchor Points so families travelling with children can bring their own Child Seat or we can provide them. 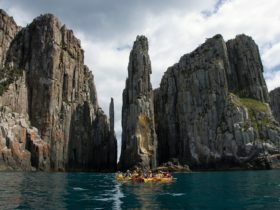 Regular day tours departing the Hobart Central Business District are tailored so guests experience Tasmania’s National Parks, spectacular scenery, and natural attractions. These tours are run all year round. Specialist tours to experience Tasmania’s unique native orchids are run in the peak flowering times between August and January. Orchid tours are led by an experienced and expert guide who is passionate about the states native orchids and their conservation. Small group touring offers a personal experience as the client to Guide ratio is low and the experienced Guides can easily pass on their local knowledge. All tours are conducted at a relaxed pace to allow sufficient time to truly experience each attraction and are ideally suited to photographers who may require just that little bit of extra time. 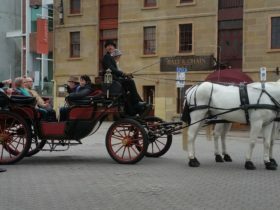 A fully guided tour leaving the Hobart Central Business District at 8.30am, returning between 4pm and 5pm every Tuesday. 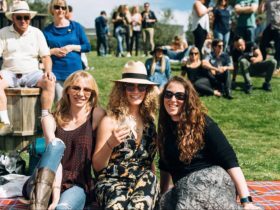 Travel along the Derwent River past farmland, vineyards and hop fields. 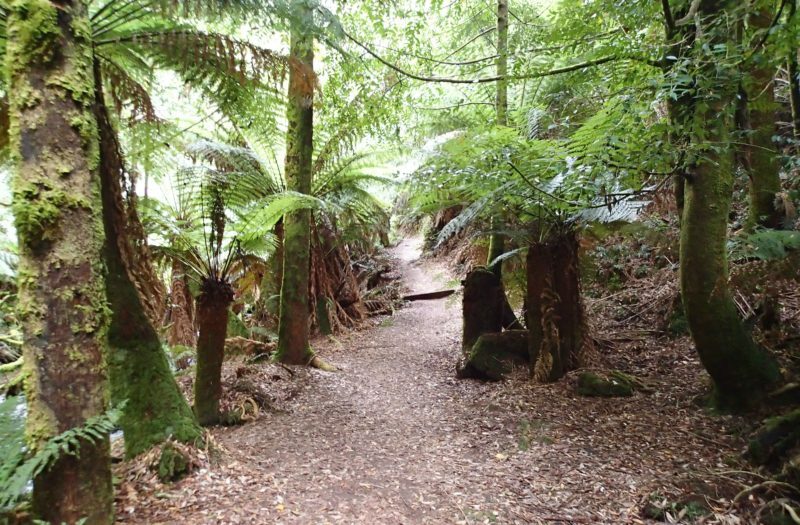 Experience the grandeur of the world’s tallest flowering plants, the majestic Giant Ash trees of the Styx River Valley. 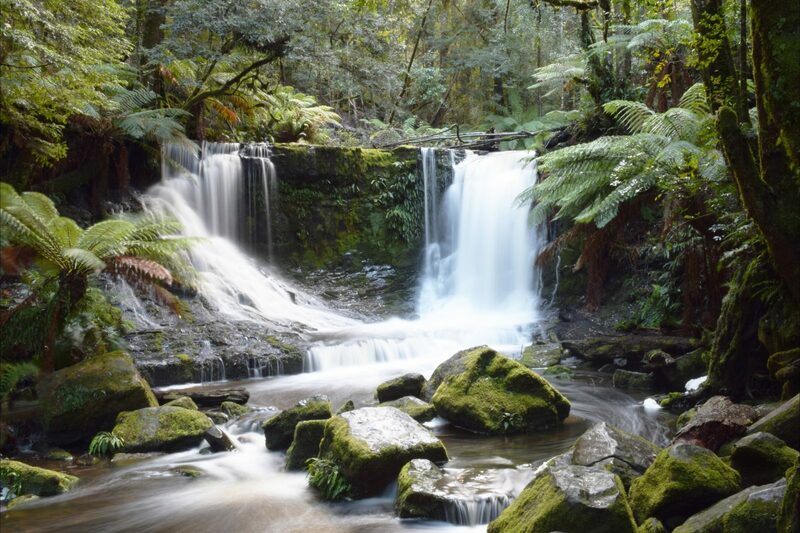 Explore Mount Field National Park with a walk through the forest to Russell Falls. National Parks Entry and Morning Tea included in cost of tour. 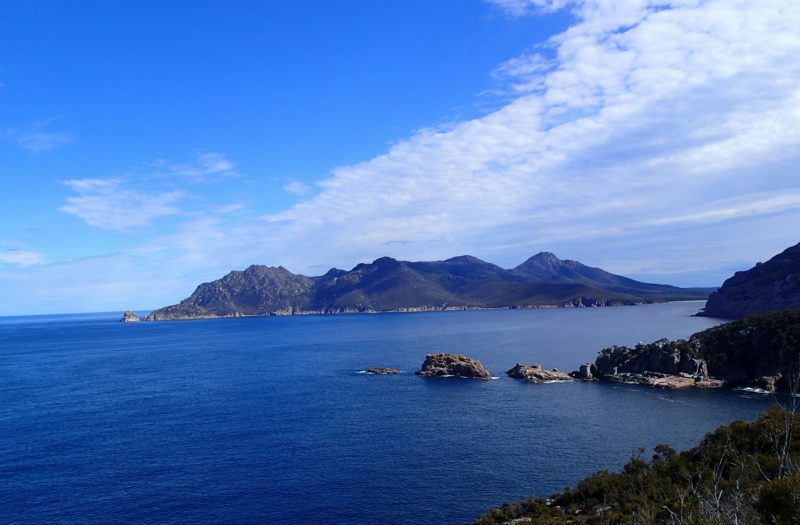 Pick up in Hobart from 8.30am and travel along the Lyell Highway beside the Derwent River passing through farmland, vineyards and orchards and the historic towns of New Norfolk and Hamilton. 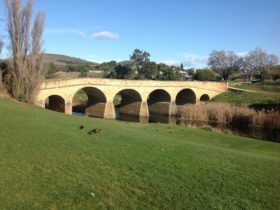 Their first stop is for morning tea on the shores of Lake Meadowbank before continuing through the rural township of Ouse, past the Hydro village of Wayatinah and stop at Tarraleah Lookout. The lookout is situated above the Penstocks (giant pipes) that feed water to the Tarraleah Power Station and offers stunning views into the surrounding forest and the Nive River Valley below. You’ll then continue past the Tungatinah Power station and stop for a photo opportunity at the monument marking the Geographic Centre of Tasmania beside Bronte Lagoon. It’s then onto Derwent Bridge for lunch at the Derwent Bridge Wilderness Hotel where you choose your meal from the Lunch Menu board. After lunch visit The Wall in the Wilderness, where sculptor Greg Duncan is carving the history of Tasmanian Highlands in a series of 100 Huon Pine panels. Each panel is one metre wide and three metres high, placed back-to-back creating a wall 50 metres long with carvings on both sides.